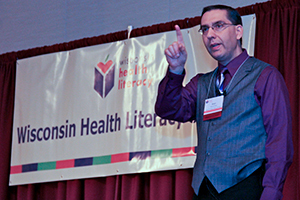 Thank you for attending the 2019 Wisconsin Health Literacy Summit. The respected experts in the field took us beyond our everyday discussions and broaden our scope on health literacy. 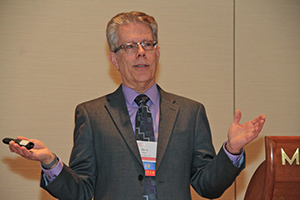 From community health to academia, literacy to communication, and many other professions, the summit theme focused on "a sharper view through the lens of health literacy". Click here to see photo highlights of the Health Literacy Summit. If you want to download conference materials, we recommend downloading Summit materials from the Guidebook App or from the registration website. If the PowerPoint presentation for your selected session is not on-line, please check with Wisconsin Health Literacy staff. Some sessions may have no PowerPoint. Materials will be available on the website for 35 days following the conference. 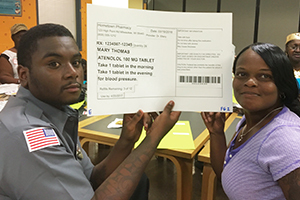 In support of improving patient care, this activity has been planned and implemented by the University of Wisconsin–Madison Interprofessional Continuing Education Partnership (ICEP) and Wisconsin Health Literacy. The University of Wisconsin–ICEP is jointly accredited by the Accreditation Council for Continuing Medical Education (ACCME), the Accreditation Council for Pharmacy Education (ACPE), and the American Nurses Credentialing Center (ANCC), to provide continuing education for the healthcare team. Detailed disclosures will be available before the beginning of the activity. Summit Sponsors: If you are interested in becoming a Summit sponsor, please click here for additional information.